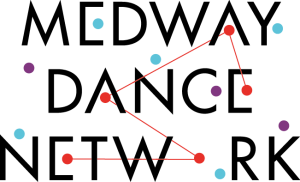 Medway Dance Network, or MDN for short was recently created after a conversation over coffee between Heather Burgess of Sun Pier House, Luci Napleton and I. We thought it was about time that people in the dance world of Medway had the opportunity to come together on a regular basis. It’s in the very early stages of development and it’s hoped that members (anyone interested in, working in or developing dance related activities in Medway) will influence it and make it their own. So far 2 monthly meetings have taken place and Medway Dance Network is beginning to get an identity. It’s even got a logo! Here at The Right Step Dance Company we are taking an active role to help ensure its success and will be involved both as a company and as the individuals already involved in TRS. The TRS Teachers are getting involved both as TRS Teachers and in their many other roles as dance teachers, dance company owners and workers for other companies that relate in some way. 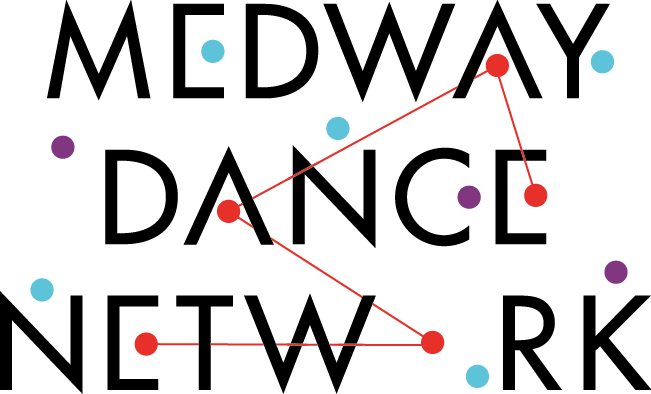 As well as supporting the organisation of a monthly networking event, we are already providing some of the first classes to be rolled out under the umbrella of Medway Dance Network. Ballet with Natalie and Clare and Pilates with Taigh are already under way and there are more classes to come. We hope to see you at the next meeting and welcome you to share about your projects and needs or to come along to listen and find out more about what’s going on for dance in Medway.